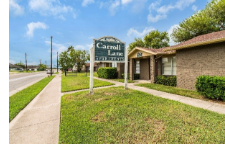 ​​​​ CORPUS CHRISTI – Raybec Operating Corp. acquired Carroll Ln., a 40-unit Coastal Bend multifamily community, from Churchill Family Trust. The apartment complex was 90 percent occupied at sale. ​The sale includes the 2.77 acres on which the property is situated. JLL Capital Markets facilitated the transaction.